Stats: JCT at O.M. 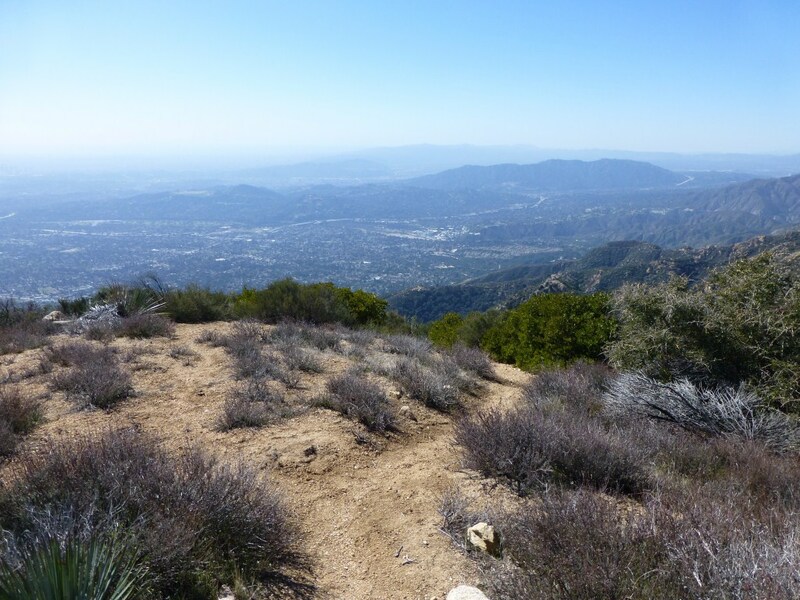 &M. The trail to Muir Peak: 0.2 miles, 153′ gain. Muir Peak to JCT at O.M. 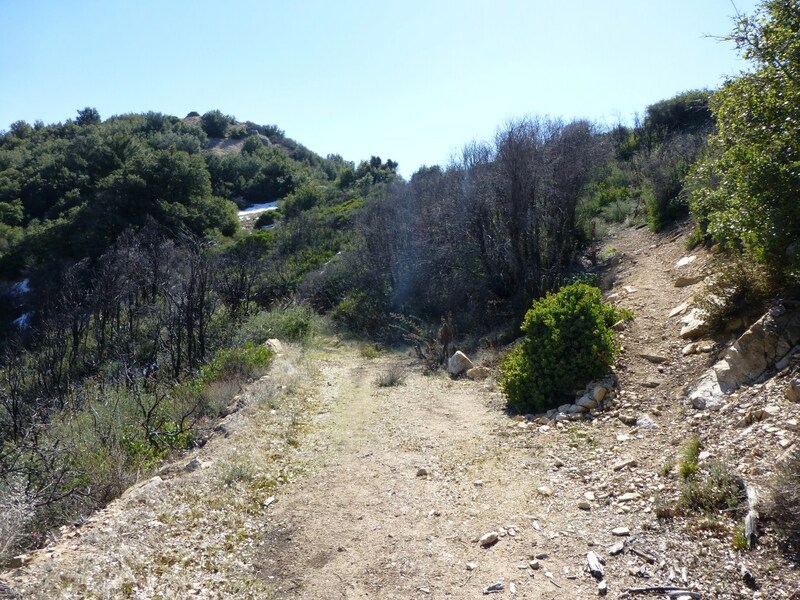 &M. Trail: 0.2 miles, 153′ loss. Round Trip: 0.4 miles 153′ gain and loss. Eaton Saddle to Mt. Lowe, Inspiration Point, Muir Peak, and Mt. Markham: 8.8 miles, 2211′ of gain and loss. View at JCT of Muir Peak Trail from O.M. &M Trail.